Track and bookmark your shows. Constantly trying to remember which episode you left off on when renting TV seasons from Netflix or Blockbuster? Are you LOST trying to remember which episode you last watched on ABC.com? Can't remember the last episode of Castle you watched on Hulu? 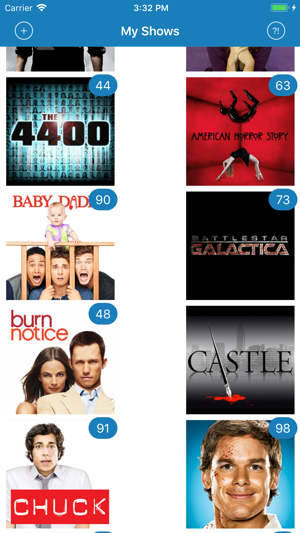 Keep track of which episode to watch next right on your iPhone with My Shows! Keep notes with your shows to remember who you're watching with, which disc you're on, or other information. 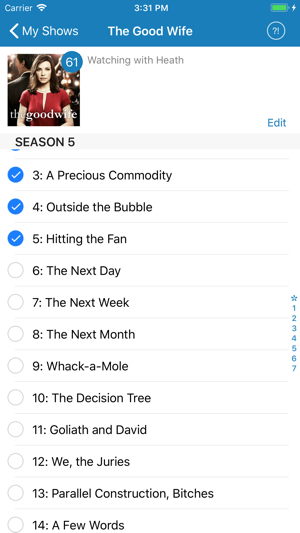 View all the episode names and seasons for a show, including special episodes. 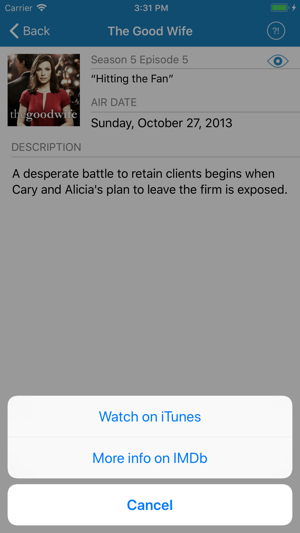 See episode descriptions (available for some episodes). Check off the episodes you've already seen. 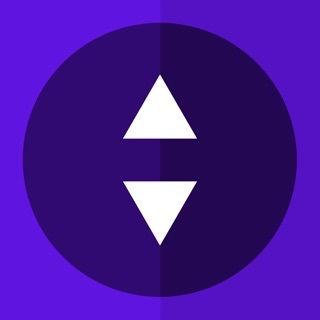 NOTE: while this app is useful in conjunction with downloaded TV shows, this app does not download or store the actual show and cannot be used to watch TV shows. However, we do provide links to watch some episodes in iTunes and look up show information on IMDB. However, it's a useful companion to your laptop or iPad while watching shows, even on a long airplane flight since the app works offline and syncs content between iOS devices via iCloud. • Go directly to iTunes to watch shows! 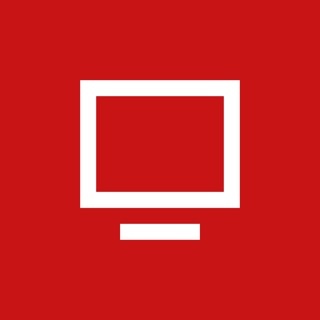 NOTE: If you have any problems or want to see something new, send an email to: support@kudit.com. The ?! icon on every screen allows sending us a quick note without having to leave the app and allows us to provide you even better custom support. Added support for new iPad Pro and Xr and Xs Max screens. Removed review prompt due to new App Store guidelines. 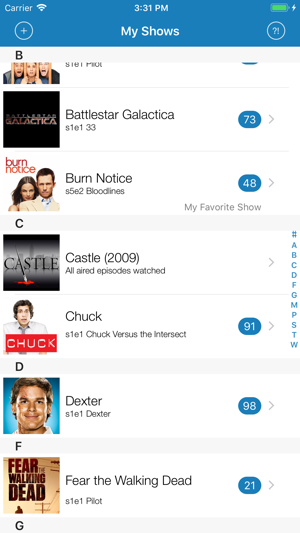 $3 is pretty steep for an app with so many missing shows. 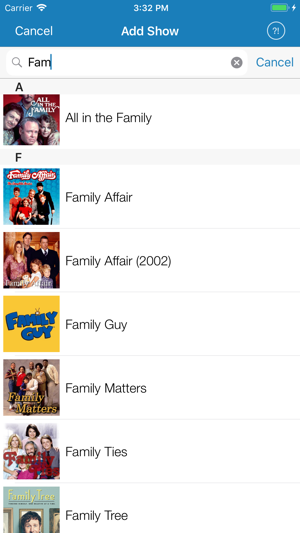 There are even missing episodes in shows that are available. 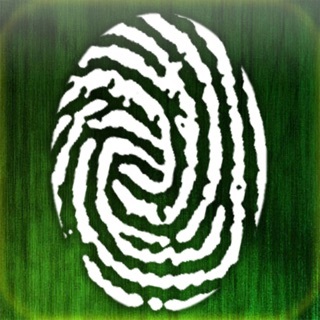 There are free apps that are much more comprehensive. The only reason I gave it 2 stars instead of 1 is because it works well for the shows that are available. Having a native iPad app that syncs with the iPhone version is a plus. Overall it would be a great app if it actually had shows I watch but for $3, it's not worth the price of admission. 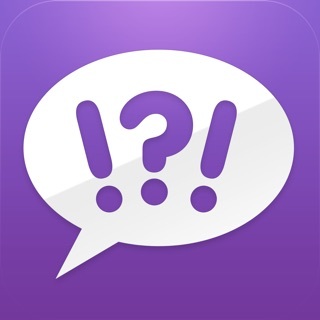 Ok so overall this app serves it's function, however when I first got it I thought it was going to be very different. I think it could be helpful if each tv season had the correct number of episodes in there. I found some that have up to the number 60 under episodes and I find myself often going online to keep track of what episode I'm on. Especially because I don't remember the title of an episode as much as the content of the episode. It would be nice if there were a brief description, like Wikipedia on there. The app really would be perfect if u were to combine Wikipedia with "keeping track of where you are." This app does exactly what I neede it too. I have many different shows that I keep track of. And no, I don't need an app to tell me when the next one airs, because I'm not always watching live shows. To the idiots that thought this would play live tv, try reading before throw $2.99 at something. It doesn't say anywhere that it streams video. And for those that think "get a pen and paper", why do you even have an iPhone if your using those? Just have a regular phone and send letters and telegrams, lol. 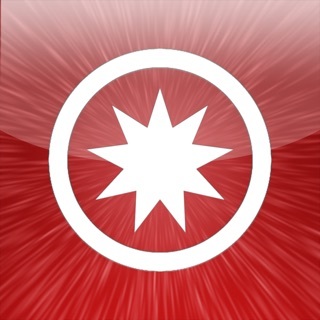 Great app, shame to see the low rating.